Let me begin by saying that this post is dedicated to my friend Mr. Hamid. For the past year I have been coming to my local coffee shop to work on my posts and writing projects. It’s always nice to have a change of scenery. I am not a sheeshee foofoo coffee drinker nor do I like going to the big chain coffee shops. This place is actually individually owned, so I was happy to not only support our local economy but also someone who runs his own business. One thing that always stood out here was the fact that the service has always been excellent and the background music is simply fabulous! Since the beginning of the year my friend Sheila, from Painted Ladies, and I have met here a couple of times a week and held what we dubbed as “Office Hours.” We both sit at the same table and power away with occasional conversations and plenty of giggles. Since we come here often we have become friendly with Mr. Hamid who is the owner and Maria, the morning barista. You can see Maria in the picture above helping a customer. 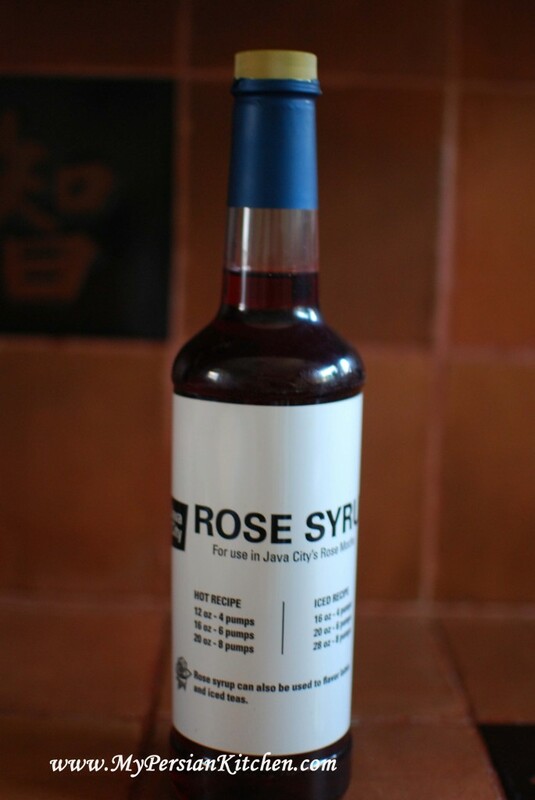 Sometime in the spring while chatting with Mr. Hamid I noticed that one of the syrups that were on display was a Rose Syrup. WHAT? There is such thing as a Rose Mocha? As a lover of all things related to rose water I was immediately intrigued. So he took a bottle of it out and sent me home with it to experiment on my own to experiment! 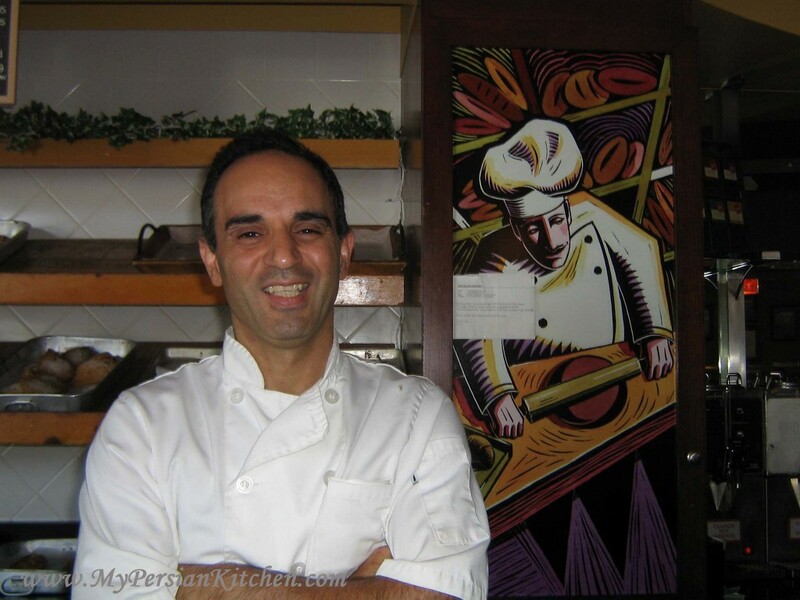 Sadly a couple of months ago Mr. Hamid shared with me that he would be closing down his coffee shop. The downturn of our current economy has hit his business pretty hard, but more than anything his rent is incredibly high. The landlord of this property happens to be Corporate America who doesn’t care about individually owned small business, because if they did, they would give this business a break rent wise. I can’t even begin to comprehend the fact that the big corporation that owns this place doesn’t care if the store stays vacant. 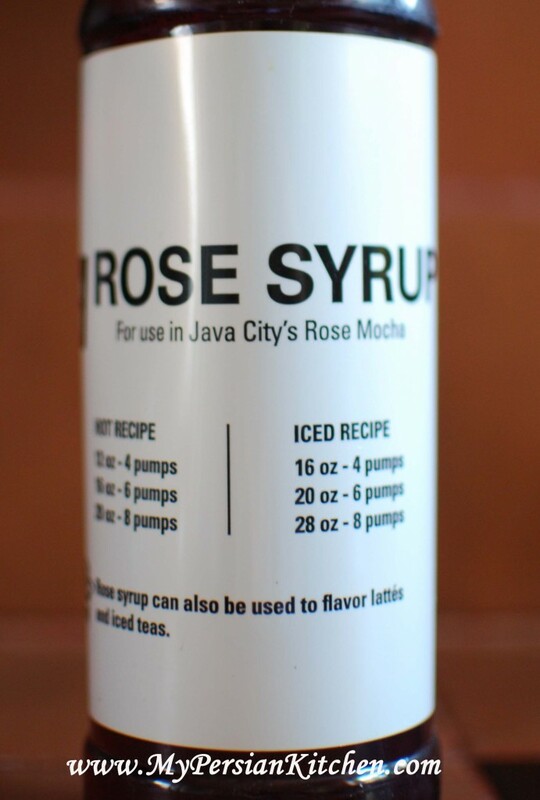 So today, in honor of the last day that my Java City is in business, I decided to post something using the Rose Syrup that Mr. Hamid gave me. The label on the bottle lists many pumps of the syrup should be used per drink. I am a lover of iced tea and since it’s been kinda warm I thought I would start with a refreshing drink! This iced tea is super easy to make! 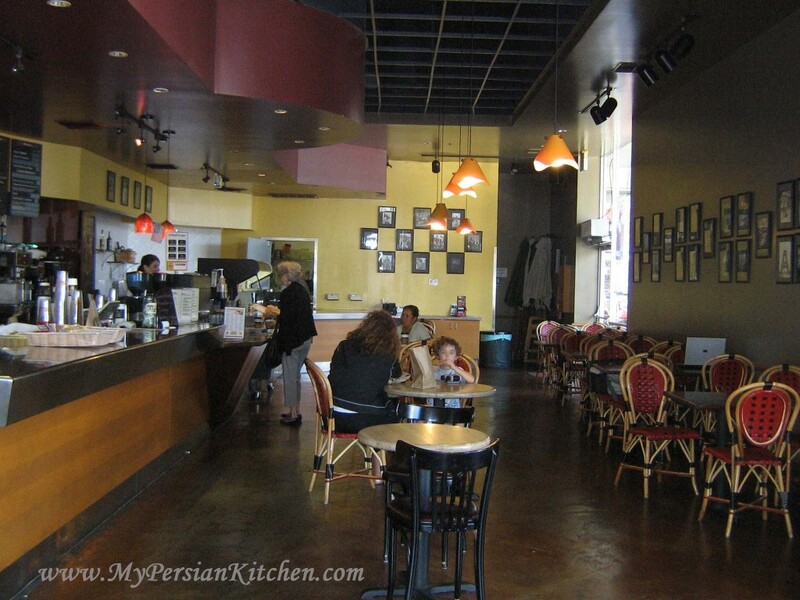 Brew some of your favorite Persian tea. Fill two thirds (2/3) of your carafe or bottle with hot water and allow the tea to steep for about 10 minutes. I found that it is best to add the rose syrup while the tea is still hot as it dilutes better. 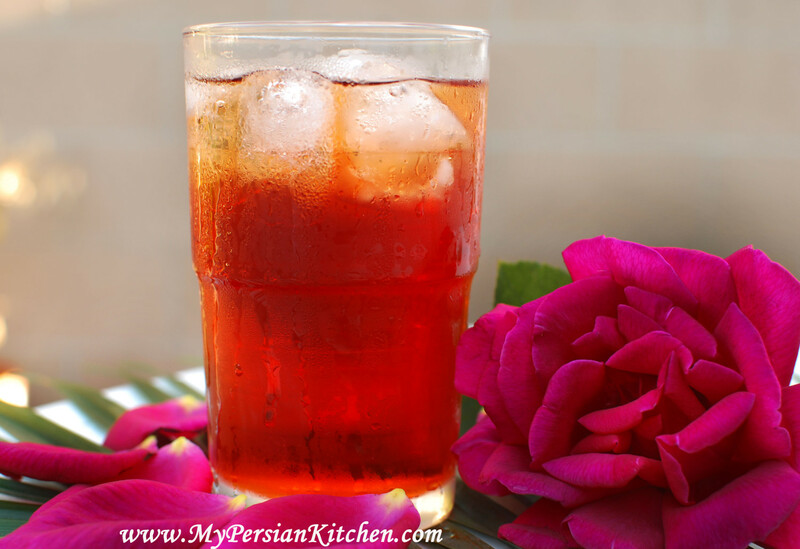 It’s up to you how much rose syrup you want to add, I found that the best ratio for me was 2 to 3 tablespoons per glass. Add ice cubes and allow for the tea to cool down. And there you have it a delicious Persian ice tea that has a nice hint of sweetness and a delicious scent of roses! I will miss coming here and working away on a regular basis. I will miss the smiles and the friendliness; how can I not miss a place where I walk in and people cheer and know me by my first name? As you can imagine the mood is mighty somber here today as all of three of us have tears in our eyes. It’s never easy to see your business go under, especially when you are good at what you do and put your heart and soul into it. I will always remember my wonderful time here and Mr. Hamid every time I use the Rose Syrup! Viva Java City! Home to the friendliest staff and most delicious iced mochas. I shall miss you, and best of luck on your new ventures Hamid and Maria!!! 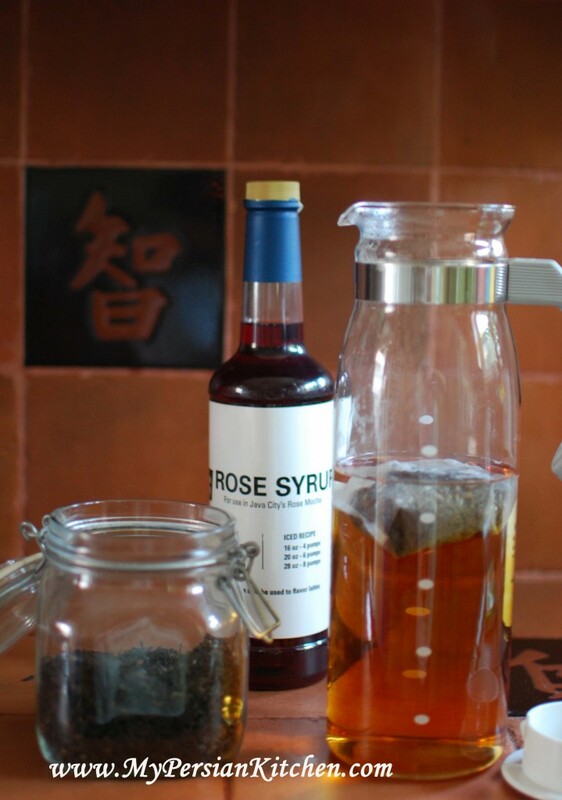 Nice post, about the rose syrup tea even thought I am sorry for the closing of the coffee shop. I love to make my own chai combinations but next time will add rose water to it since rose syrup is not available here. I know I can me my own but for now rose water will do. Sanam, I am so sorry about Mr. Hamid going out of business. Like you, I don’t understand how someone would rather have a vacancy than give a good local business a break on the rent. On a happier note, I think you’re onto something with the rose syrup. I’ve never had it, but I can just imagine how wonderful it tastes in iced tea. And in this weather, it would be so refreshing. Jean, I totally miss going to my regular coffee shop. Oh my, will this heat ever end?